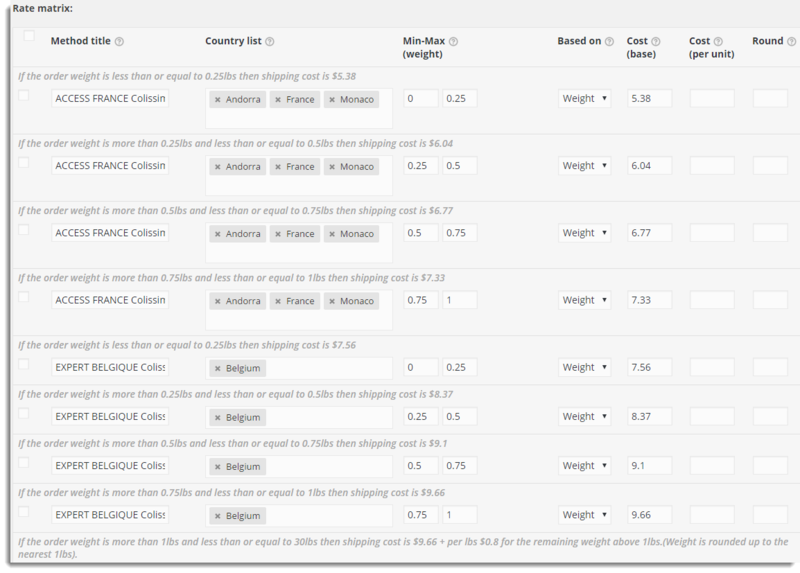 Now, configure La Poste Colissimo rates using our WooCommerce Table Rate Shipping Pro plugin in a simple and concise manner with the click of a button! Check out below. Get our WooCommerce Table Rate Shipping Pro Plugin. Import the La Poste Collissimo Sample CSV in Shipping Pro. Hurry! Get the Awesome plugin! Please validate the Price list before actual shipping. Please contact us if you need to configure International shipping as Zone1/Zone2/Zone3/Zone4/Zone5, or Zone6 or any changes in the Price list. Thanks for the prompt response. It’s working just fine now. This would be a huge encouragement for us. No matter which country you select, it doesn’t update the shipping charges. Can you please provide our team admin access via the ticket. We will check and fix it.